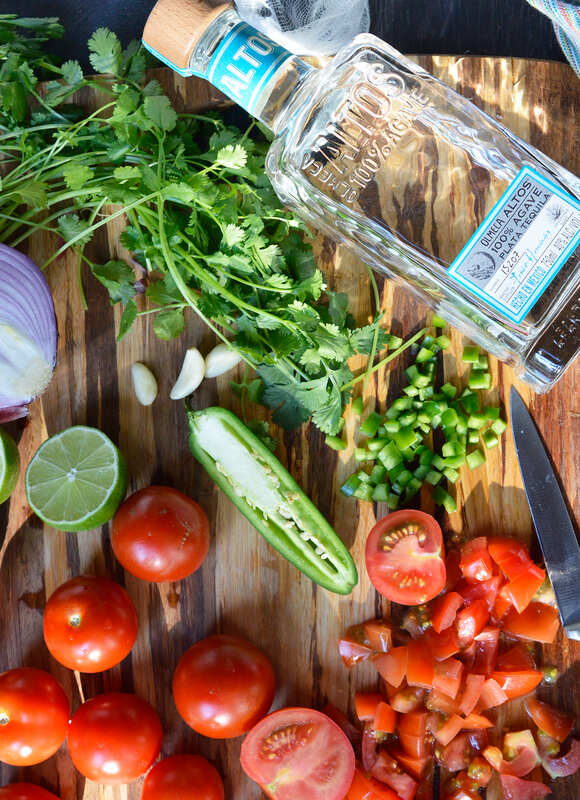 Start the summer off right with Fresh Homemade Pico de Gallo that is spiked with Tequila. Perfect for a party appetizer or a tasty snack by the pool! This salsa is great with chips or use it as a fresh, flavorful condiment. 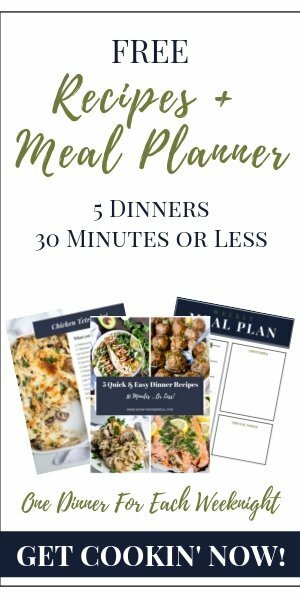 Omit the tequila/sugar and this recipe is Paleo & Whole30 friendly, grain free, gluten free, vegan, vegetarian and dairy free. This post is sponsored by Altos Tequila. This post contains affiliate links. This post originally published May 26, 2017. 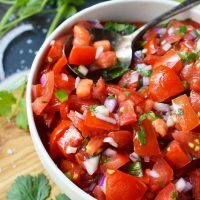 If you bring this Pico de Gallo recipe to a summer party, everyone will think that you are a kitchen rockstar! The great thing about this recipe is that if you can use a knife . . . you can make this salsa. Don’t tell anybody how easy this really is to prepare. Make them think you slaved away in the kitchen making authentic pico de gallo. 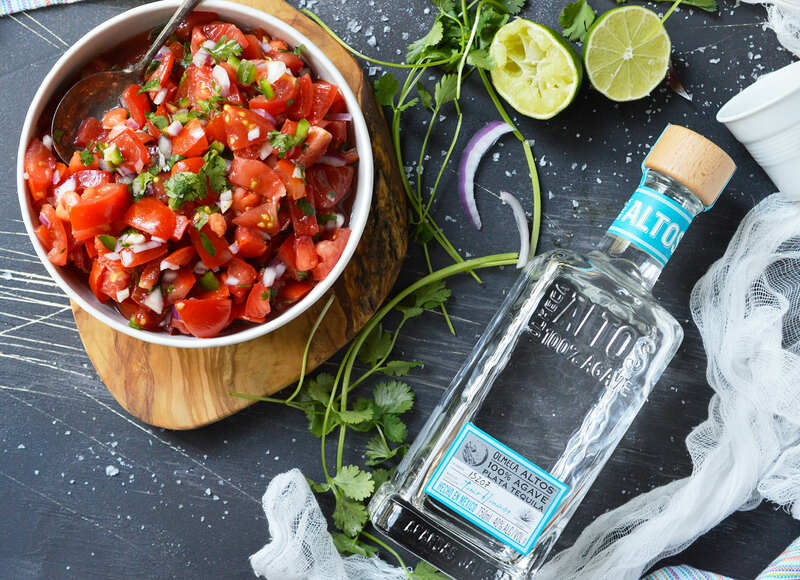 What makes this Pico de Gallo unique is the addition of Tequila. Just enough to give it the aroma and essence of tequila. Not enough to get drunk off of chips and salsa! Of course, feel free to add more if you prefer a stronger tequila flavor. Altos Tequila Plata is the shining star of this dish. It is made from 100% agave grown in the Los Altos highlands of Mexico. 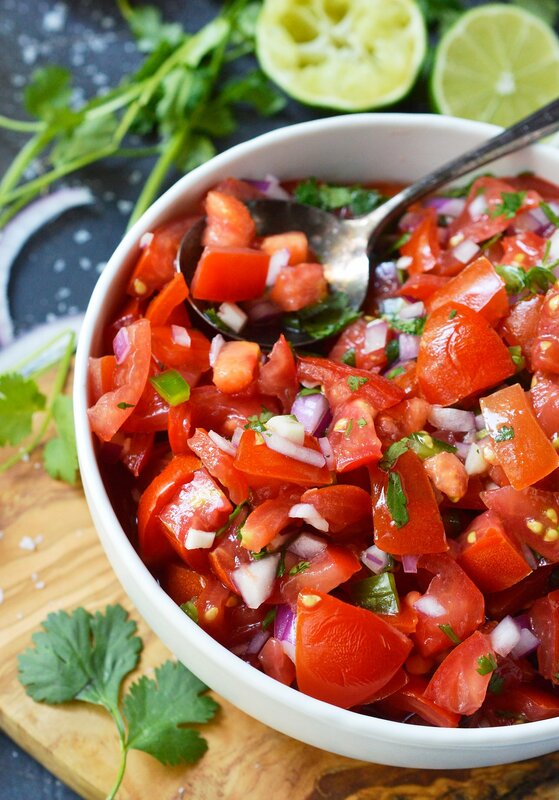 You may just end up eating this Pico de Gallo with a spoon! Not that I personally would know anything about this. Of course not. Is this salsa Paleo and Whole30 compliant? Omit the tequila and sugar and you are good to go! This is a great condiment or topping for Paleo dinners such as chicken, fish or beef. Yes! Make this the day before your party and the flavors get even better! Just be sure to refrigerate until it is served. You’ll want a Citrus Juicer for the lime. And these Chef’s Foundry Ceramic Knives are great for slicing, cutting and chopping! 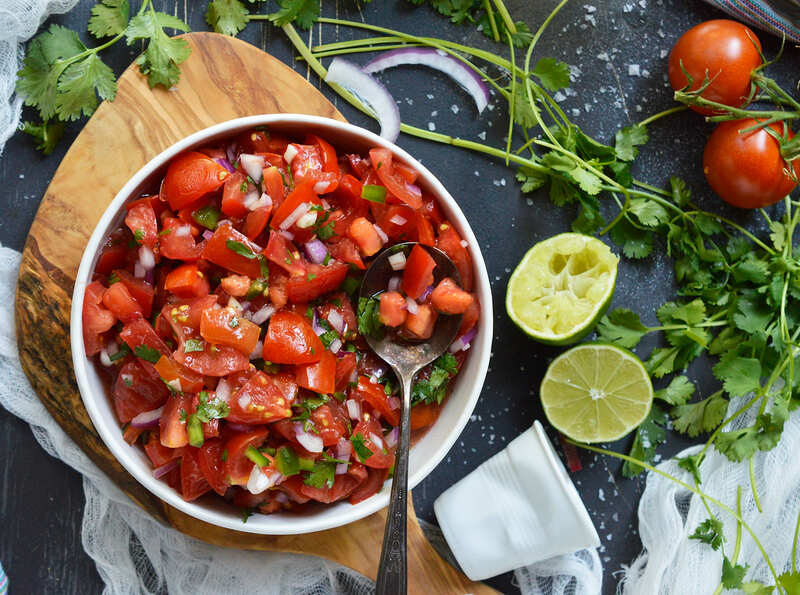 How should you serve this pico de gallo? The obvious is to serve this with chips. But for healthier options, serve on a taco salad, a burrito bowl or over grilled chicken. 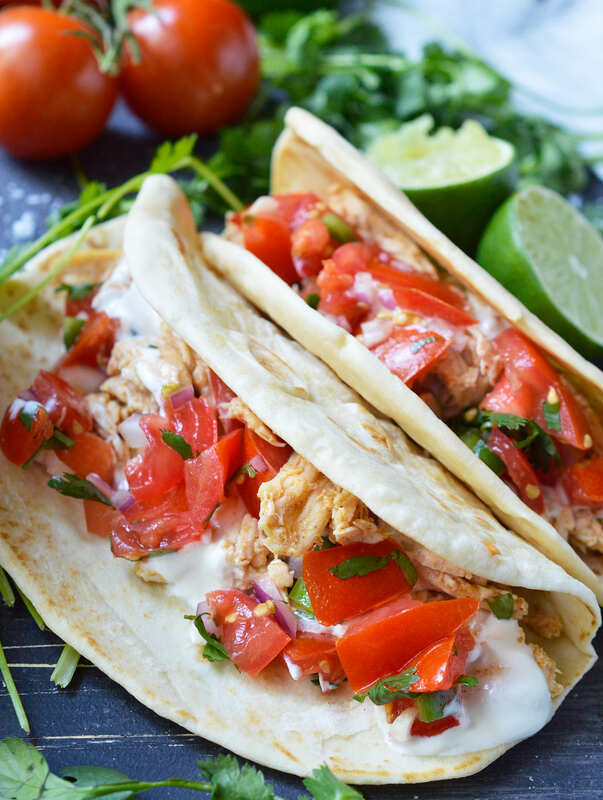 You can also make shredded chicken for tacos topped with pico de gallo salsa and this becomes a meal! I’ve never thought to add tequila to pico de gallo before, but I’m totally in love with this idea. Can’t wait to try it! !